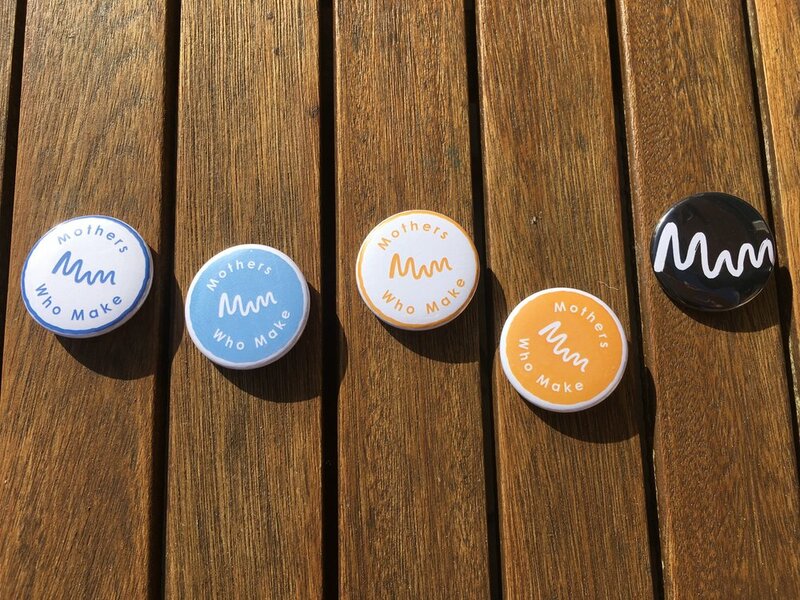 If you supported us way back in December you will at long last be able to receive your crowdfunding rewards: badges, bags and T-shirts have been made. Lizzy, MWM’s producer, hand-printed the bags and T-shirts herself with lovely folk at Double Elephant Print Workshop in Exeter. Natalie Stone and her daughter Olive leant a hand too, and enjoyed learning some news skills together. The design is thanks to Julia Labutina’s mothering and making self-portrait. You can read more about Julia as she October’s Mother of the Month.